Hey guys! 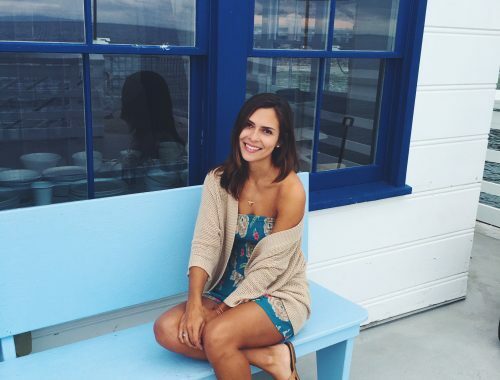 Ahhhhh finally after a few months the blog is back up running and I am so stoked! It’s about time. Happy to share that I’ve taken security measures and hopefully won’t have any issues or blog shutdowns anytime soon. 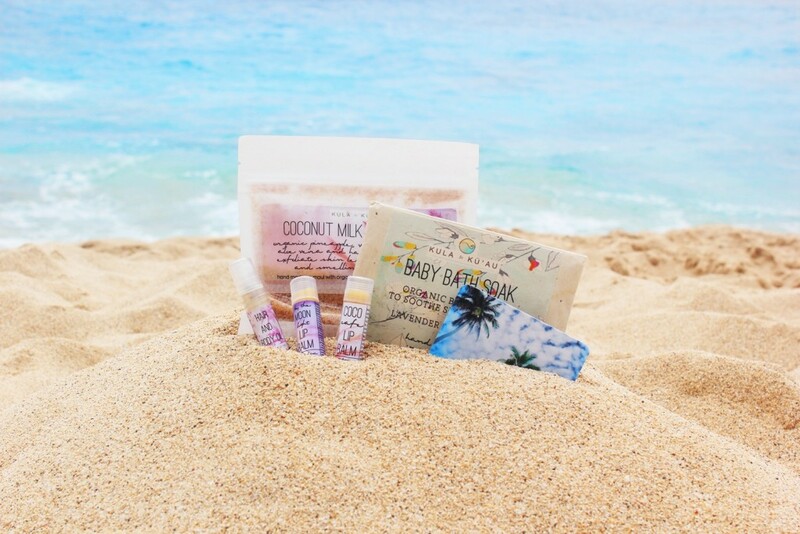 Since it’s already a week before Christmas, I decided to put together a little list of some of my favorite local Hawaii products under $50 that would make great gifts. As you may know, I’m adamant about shopping local and always strive to support other businesses and artists through my blog. Hope these ideas give you some last minute gifting inspiration! 1. XIX Palms Wrap Top. XIX Palms is arguably my favorite local clothing brand. 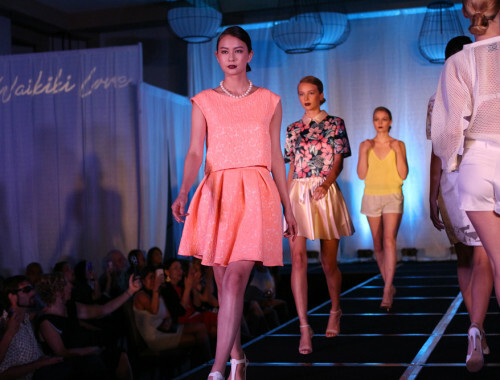 I can’t get enough of the gorgeous prints, soft fabrics, and beachy silhouettes. Wrap tops have become a favorite style of mine lately and this one is one of my all time favorites. 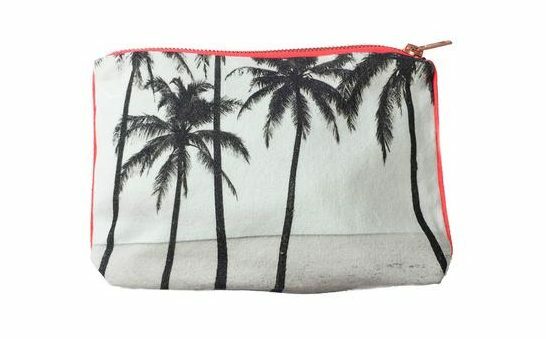 It’s $55 via the XIX Palms website but if you sign up for their newsletter you get 10% off your first order, bringing the total down to just under $50. The Blanca wrap top is my favorite but I also love the Syrah wrap top. See more at the XIX Palms website. Samudra clutches have become quite the accessory in Hawaii over the past couple of years. 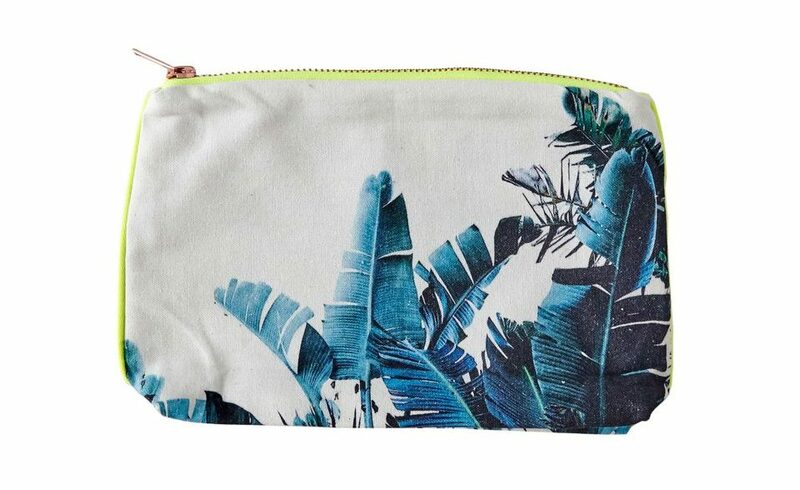 For those who don’t know, each clutch perfectly showcases a beautiful tropical photo on canvas. While the regular clutches are awesome, I also really like the baby pouches, which are the perfect size to throw inside a purse or to use as a makeup bag. Baby pouches retail for $45. Check out all of the gorgeous options at the Samudra website or at the Aloha Superette boutique in Kailua, Hawaii. *Photos from the Samudra website. 3. Kula to Ku’au Hair and Body Oil. This stuff is seriously marvelous. Not only does it smell amazing (with rose, orange, and puakenikeni essential oils, how could it not?) but I also love how nice and shiny my hair is after each use. This product is currently on sale for only $15 on the Aloha Apothecary website! 4. Oopsy Daze x BikiniBird Tee. Personally, I wear this shirt waaaaaay too often but that’s just because it’s the softest and definitely one of the cutest tees I own (and that’s saying a lot because I wear a lot of tees.) All of the four tees in this collab collection are rad but my personal fave is the Part Time Hippie tee. Check them out at the Oopsy Daze site or the BikiniBird site. Prices range from $20-$40. 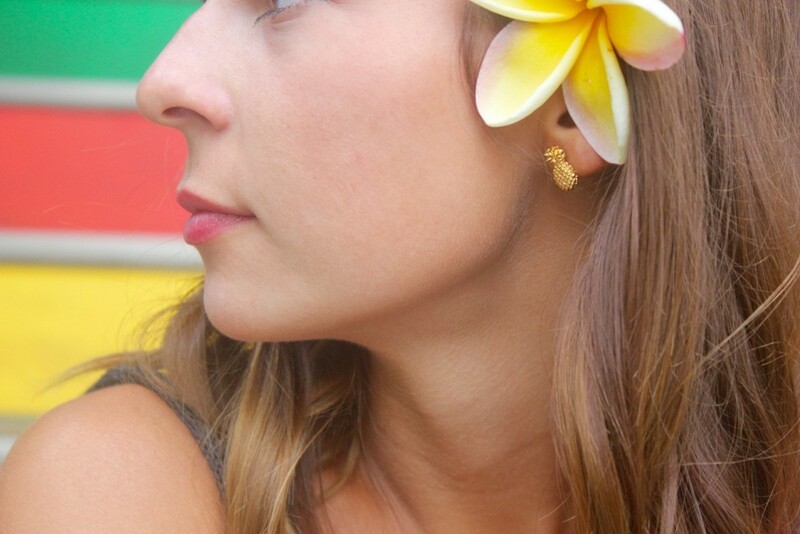 These studs are the perfect gift for any island girl and my personal favorite day-to-day earrings. Pineapples not your thing? There are other adorable options like shells, starfish, and shark’s teeth, all for the same price of $38.